"Evidence" is an exhibition featuring works by Anna Schierbeek. The exhibition runs from First Friday, April 5th, through Friday, April 26th. The show corresponds with Avenue for the Art's gallery hop event First Fridays. Choice Words is an exhibition featuring work by Gutwald Emargut. The exhibition runs from First Friday, May 3rd, through Friday May 24th. Join Grand Rapids Trans Foundation and Grand Rapids Pride Center as we kick off a week of events celebrating the TGNC community with a Trans Art Showcase at Bend & Spiral Galleries. 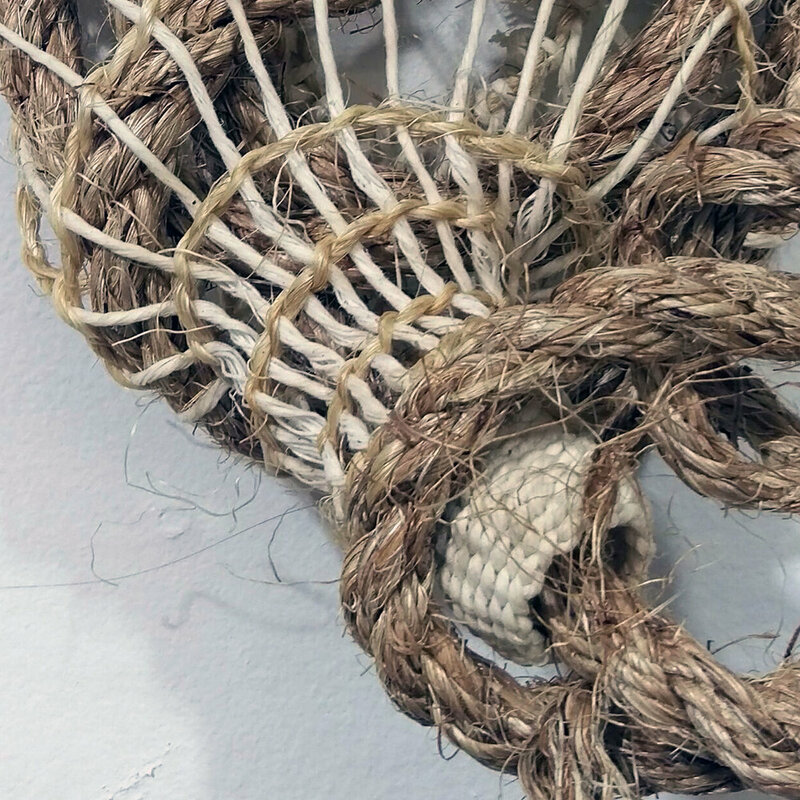 "I am Hers and She is Mine" is an exhibition featuring work by Oaklee Thiele. “I am Hers and She is Mine” is an exploration of the intense emotional bond that forms between a new service dog and their handler. This is an exhibition on healing and growth as the duo adjust to their different way of living. Join us on Friday, November 2nd from 6-9pm for the reception of "Fresh Cut Grass", hosted by Bend Gallery. This exhibition features atmospherically playful painting and scultpural works by Egan & Bob Holzhausen. The show corresponds with Avenue for the Art's gallery hop event First Fridays. To view this exhibition after the public reception from Saturday, November 3rd thru Friday, November 23rd email bendgallery@gmail.com. It’s an odd world we live in where we simultaneously scream at each other from behind computer screens and anonymous social media accounts while also grasping for empathy and compassion towards others, whether they be close to us or not. The artists in this exhibition use their work to examine all aspects of human connection, our thoughts and feelings toward one another within families, romantic relationships, social groups, cultural communities and even within our own internal worlds. My hope is that this visual exploration of our connections can help us find deeper ways to understand and reach out to one another. Join us on Friday, August 3rd from 6-9pm for the reception of "Connected", hosted by Bend Gallery. To view this exhibition after the public reception from Saturday, August 4th through Friday, August 25th email bendgallery@gmail.com. E.J. Cobb is an interdisciplinary artist and curator from Grand Rapids, Michigan. She is a 2008 graduate of Taylor University, where she received a Bachelor of Arts in Studio Art with concentrations in Painting, Photography and Art History, and a recent graduate of Kendall College of Art and Design of Ferris State University (KCAD) where she received a Masters of Fine Arts. She has curated shows locally and has shown her own work in venues across the Midwest. Both her curatorial work and personal artwork focus on the complex nature of human relationships and the communities we live in. To view this exhibition after the public reception from Saturday, July 7th through Friday, July 27th email bendgallery@gmail.com. Join us on Friday, June 1st from 6-9pm for the reception of "Duroplast", hosted by Bend Gallery. This solo exhibition features works by Marat Paransky. The show corresponds with Avenue for the Art's gallery hop event First Fridays. To view this exhibition after the public reception from Saturday, June 2nd through Friday, June 22nd email bendgallery@gmail.com. The focus of the first is on the nuclear power/weapons debate and it follows years of interest and research into the Chernobyl and Fukushima disasters, as well as its ties to his childhood in Ukraine. In 2016, the Ministry of Medium Machines show at Kendall College of A&D in Grand Rapids, MI, featured the project in its entirety. The second series is not issue-specific and is more about chance and found objects/images. It takes the form of collage and assemblage, and there is often the inclusion of bits and pieces of Marat’s older artworks. Detroit’s Corktown Studios hosted Dolania americana in 2017. The latest cycle of the work, Duroplast, will be shown at Grand Rapids’ Bend Gallery in June 2018. Join us on Friday, May 4th from 6-9pm for the reception of "Days Gone Bye", hosted by Bend Gallery. This solo exhibition features new collage/assemblage works by Steven Vinson. The show corresponds with Avenue for the Art's gallery hop event First Fridays. To view this exhibition after the public reception from Saturday, May 5th thru Friday, May 25th email bendgallery@gmail.com. Bend Gallery is pleased to sponsor "To Have and To Hold" - a one night fundraising exhibition for local artist Erin Schaenzer. To directly purchase Schaenzer's work and support her trip, visit her online shop http://erinschaenzer.bigcartel.com/. To read more about the Lemon Tree House Residency visit http://www.thelemontreehouse.org/. We're excited for our next movie night co-hosted by the graduate run KCAD Alluvium Gallery and Bend Gallery! The documentary we'll be watching this month is about contemporary portrait painter Kehinde Wiley. Join us for this once a month event as we'll be projecting different flicks on the wall in the gallery. Blankets, pillows, and snacks are encouraged! 18+ - As always are events are free to attend. Followed by a short discussion! The documentary we'll be watching this month is about post-modernist/neo-expressionist painter Jean-Michel Basquiat! Join us on Friday, March 2nd from 6-9pm for the reception of "COLORATION", hosted by Bend Gallery. Without light there is no photography, and with light color itself is created. This exhibition presents work from each member of the Kendall Photography Association and their ability to use color to create a unique image. To view this exhibition after the public reception from Saturday, March 3rd thru Friday, March 23rd email bendgallery@gmail.com. Join us on Friday, February 2nd from 6-9pm for the reception of "Fragment", hosted by Bend Gallery. This solo exhibition features work from artist Amber Bledsoe. To view this exhibition after the public reception from Saturday, February 3rd thru Friday, February 23rd email bendgallery@gmail.com. 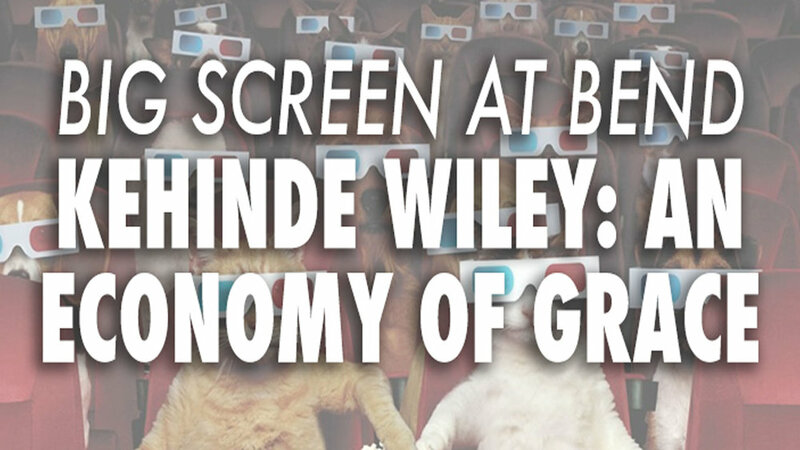 We're putting Books at Bend on hold for the colder months as we introduce BIG SCREEN at Bend, a movie night event co-hosted by KCAD's Graduate run Alluvium gallery! We all have to step back and look what we’ve done. And I say “we” cause it’s not one. That prevents us from finding unity. Don’t blame, but let’s find a new name. What if we could run off this? But let’s give it our best shot cause this is all we got. Join us on Friday, January 5th from 6-9pm for the reception of "Love Dunks! ", hosted by Bend Gallery. This exhibition features work from artist Jordyn Fishman. Bend Gallery is pleased to host Molly Duff and her Chandra Yoga Series. This series is a monthly donation based class in which all of the proceeds go towards the Women's Interlink Foundation which oversees various causes including Nijoloy, a shelter for victims of human trafficking in Kolkata, India. During this hour and a half session, instructor Molly Duff will lead the group through a meditation based, intention setting practice which coincides with the moon cycle. Each person will set an intention for themselves in an area in which they'd like to cultivate more abundance in their lives. There will be a $10 minimum donation at the door (cash & card accepted), participants are encouraged to bring a pillow or a mat as the group will be seated on the floor as well as a journal and something to write with (chairs will be available for those who need). Molly studied traditional Hatha yoga in Costa Rica at The Passion Yoga School. In her 200 hour teacher training, Molly learned how to dive deep into the heart space through asana, meditation, and breathing practices. These are all powerful tools that she uses to offer healing to her students. Molly has led various classes for places such as Oxbow School of Art and Artists' Residencies and Lions & Rabbits Gallery. Misc. is a varied print portfolio exchange and exhibition. This show presents an international print exchange and exhibition organized by Bend Gallery which features the work of 12 artists. Each artist created a varied edition of 11 x 15 in. unique prints exploring the theme "Misc." through a variety of printmaking techniques. 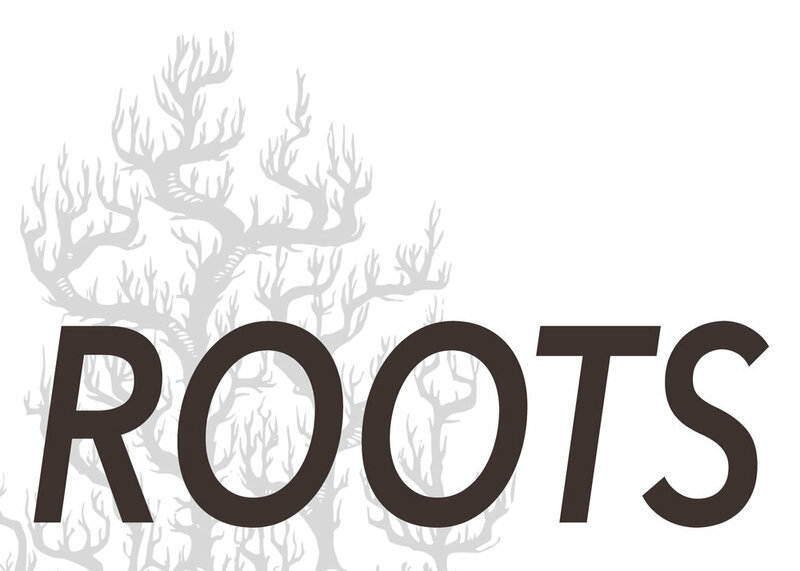 Join us on Friday, November 3rd from 6-9pm for the reception of "Roots", hosted by Bend Gallery. This exhibition features work from artists who completed fellowships with the Peirce Cedar Creek Institute during the summer months of 2017. Bend Gallery is pleased to host Books at Bend - a community organized monthly book club! RSVP to the facebook event, here! Our next meeting will be held on October 26th at 7pm in the gallery. During this meeting we will discuss the book we have read, Between the World and Me, written by Ta-Nehisi Coates. After our discussion we will also pick the next book that we will read! Refreshments and snacks will be provided. Stay up to date with our meetings by signing up for the book club mailing list here! The book is selling for around $14 new on amazon! Unpolished is an informal critique series where local artists gather feedback in a communal setting. This time-a-round, we will be at Bend Gallery on Thursday, October 19th. If you have work you'd like feedback on, bring 'er on in. Just want to join in on the conversation? A-ok! As always, all are welcome. Join us on Friday, October 6th from 6-9pm for "More Than Anything", hosted by Bend Gallery. This exhibition examines the dynamic nature of relationships and the personal impact they have on each artist. Our next meeting will be held on August 31st at 7pm in the gallery. During this meeting we will discuss the book we have read, Has Modernism Failed? (revised edition), written by Suzi Gablik. After our discussion we will also pick the next book that we will read! Refreshments and snacks will be provided. The book is selling for around $18 new on amazon! Join docent and art enthusiast Zachary Trebellas at Bend Gallery for a light hearted and informative workshop meant to provide tips and skills for more meaningful viewing experiences with art. Checkout the Facebook event and RSVP here! Zachary Trebellas currently works at the Grand Rapids Childrens Museum and has worked and volunteered at the GRAM, the UICA, the Fed Galleries, the Avenue for the Arts, Artprize, and is a dedicated lifelong student of art history. Join us on Friday, September 1st from 6-9pm for Branden J. Redmond's first solo show "Benediction", hosted by Bend Gallery. The show corresponds with Avenue for the Art's gallery hop event First Fridays. Our next meeting will be held on August 31st at 7pm in the gallery. During this meeting we will discuss the book we have read, Ways of Seeing, written by John Berger. After our discussion we will also pick the next book that we will read! Refreshments and snacks will be provided. The book is selling for around $11 on amazon! Tesselations, types of behaviors, shapes, and schedules are ways that patterns can be recognized through the world. This exhibition presents a national print exchange and exhibition organized by Bend Gallery which features the work of 12 artists. Each artist created an edition of 10 in. x 10 in. prints exploring the theme "Patterns" through a variety of printmaking techniques.